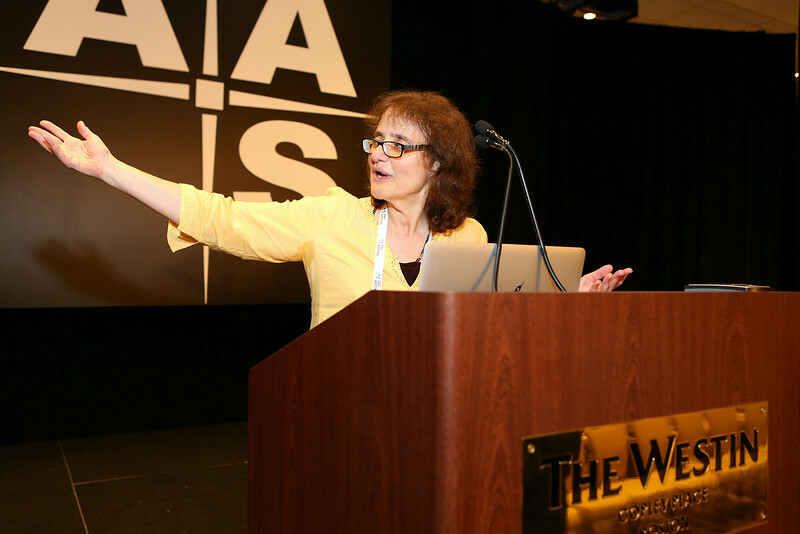 AAS Vice-President Chryssa Kouveliotou (NASA Marshall Space Flight Center) kicked off Wednesday's program by introducing invited lecturer Rosanne DiStefano (Harvard-Smithsonian Center for Astrophysics), whose talk was entitled "New Opportunities in Gravitational Microlensing and Mesolensing." Wednesday's program was kicked off by invited lecturer Rosanne DiStefano (Harvard-Smithsonian Center for Astrophysics), whose talk was entitled "New Opportunities in Gravitational Microlensing and Mesolensing." AAS photo © 2014 Joson Images.